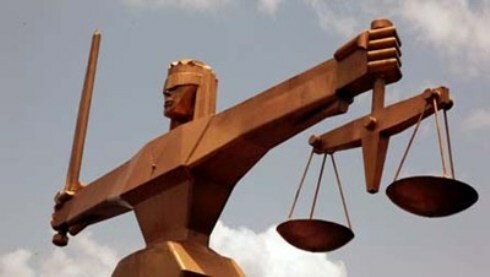 LAGOS APRIL 17TH (NEWSRANGERS)-An Akwa Ibom State High Court Uyo, presided by Justice Joy Unwana (extended jurisdiction) has handed down death sentence to seven people, including three policemen for kidnapping. The other 4 convicts include a woman hired by the gang for N50,000 to cook for the victim – Deaconess Ime Anietie Ekanem, while they negotiated for her ransom. They are: CPL Emmanuel Charlie, Ekaette Edet Moses, Fidelis Emmanson Jeremiah, Cpl Bassey Sunday (377812), PC Mfon Bassey (478463), Ndu Okon Johnny, Unyime Edem Etukakpan, and Itohowo Godwin Akpakwa. It was learnt that the victim was dragged out of the Toyota Sienna Car driven by the husband, in front of the family house at about 6:30 p.m. and whisked away in a Volvo Wagon Car to Afaha Udoeyop in Ibesikpo Asutan LGA where she was kept, under armed guards, in an isolated building pending agreement and payment of Ransom. Police investigation report, indicated that after changing venue thrice, the first instalment of N800,000 was delivered at Itam, in another LGA. The court was of the view that there were no grounds to convict Mrs Akpakwa, and accordingly discharged and acquitted her.